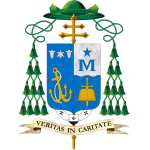 When I was a college seminarian at the University of St. Thomas (1984-1986), then known as the College of St. Thomas, I was introduced to the writings of the early Church Fathers. 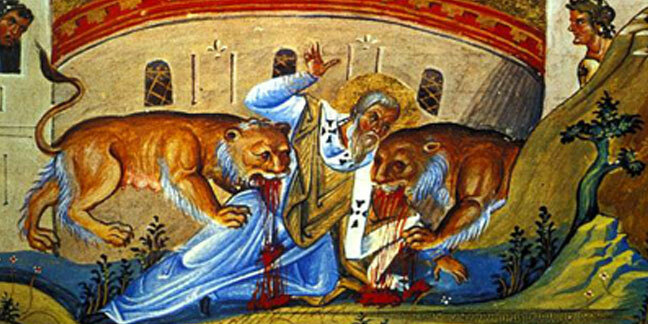 Today, we celebrate the feast of one of those early Church Fathers, St. Ignatius of Antioch. I remember quite vividly when we were reading one of his letters, which is in today’s Office of Readings. This saint and his writings, more significantly, his holy longing to give his life for Christ, touched me profoundly. I prayed often since that time of my youth for the grace to shed my love for the things of this world, to desire only Christ. An image came to mind yesterday which demonstrates well what I seek, and what St. Ignatius accomplished. The Christian life is composed of the two great commandments: Love God with all your heart and love your neighbor as yourself. Have you have ever seen the point where two rivers come together to form one? The confluence of those two streams is quite active – even agitated. This is what we long for in our daily life as Christians – an active force of charity – informed by our knowledge of God’s immense love for us – enflamed by our love for God – actively practiced in our love of neighbor. Enjoy today’s reading from St. Ignatius! Live in longing desire for God’s Kingdom. I am no longer willing to live a merely human life, and you can bring about my wish if you will. Please, then, do me this favour, so that you in turn may meet with equal kindness. Put briefly, this is my request: believe what I am saying to you. Jesus Christ himself will make it clear to you that I am saying the truth. Only truth can come from that mouth by which the Father has truly spoken. Pray for me that I may obtain my desire. I have not written to you as a mere man would, but as one who knows the mind of God. If I am condemned to suffer, I will take it that you wish me well. If my case is postponed, I can only think that you wish me harm.